Iberostar Rose Hall Suites in Montego Bay, Jamaica has lots of pools, including a large infinity pool and lazy river. 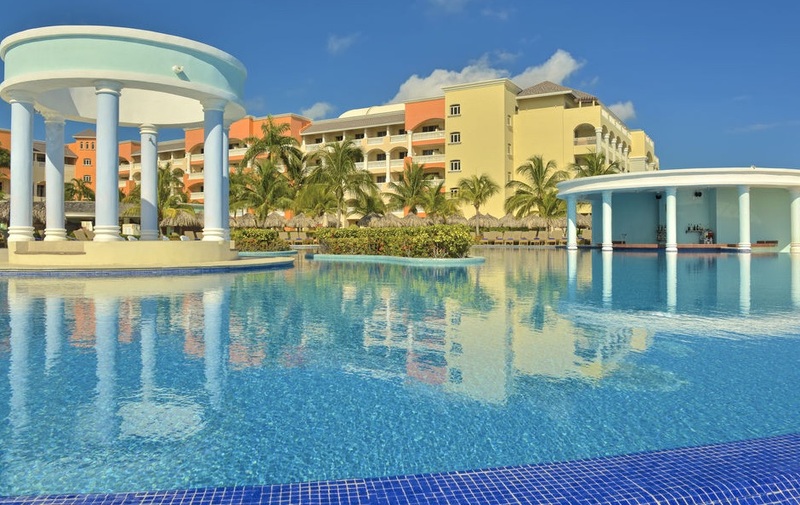 There are three resorts in the Iberostar complex in Montego Bay – the adults-only Iberostar Grand Hotel Rose Hall, the smaller, budget-friendly Iberostar Rose Hall Beach, and the action-packed Iberostar Rose Hall Suites. Rose Hall Suites appeals to families with a water park and lazy river, kids’ club, and large, family-friendly suites. The resort has spacious suites featuring refrigerators, minibars and private balconies. Flat-screen televisions with cable programming are available for your entertainment, and DVD players are also provided. Private bathrooms with separate bathtubs and showers feature complimentary toiletries and hair dryers. Relax at the full-service spa, where you can enjoy massages, body treatments, and facials. After dipping into one of the two outdoor swimming pools, you can spend some time at the private beach. Additional amenities include complimentary wireless Internet access, concierge services, and babysitting/childcare (surcharge). Non-motorized water sports are part of the all-inclusive rate, including snorkeling, kayaking, windsurfing, catamarans, and sailing. There is an onsite dive shop for lessons, gear, and excursions, for an additional fee. Kids can enjoy the kids’ club with water park, lazy river, and video game lounge. This resort is all inclusive. Rates include meals and beverages at onsite dining establishments, including two buffet restaurants; Calabash, a formal restaurant open for dinner; Mare Nostrum, serving fresh fish and Mediterranean fare; and Maria Bonita, the resort’s colorful Mexican restaurant. There is also 24-hour room service and a variety of bars that serve snacks throughout the day. Featured amenities include high-speed (wired) Internet access (surcharge), a business center, and a computer station. Event facilities at this resort consist of conference space and meeting rooms. Free self parking is available onsite.